Have a look at our clients Success Stories! “I have been dealing with Clever Finance Solutions for over a year now to provide solutions for our equipment financing requirements and I have found them to be professional, reliable and competent. “We would sincerely like to thank Clever Finance Solutions for all their hard work, time, patience and persistence into sealing the deal for us. We were originally led to Clever Finance by word of mouth as the experts in obtaining finance specifically for investors and sure enough, we succeeded. As our financial structure for purchasing a property was somewhat different, finding a lender who would agree to it became a huge hurdle to overcome. At one stage, we had a bank withdraw their pre approval, leaving us with no finance and the settlement date arriving quickly. The process, to say the least, was a laborious one not to mention stressful—nevertheless, Clever Finance went into bat for us with the banks. In the end, Clever Finances efforts enabled us to secure two offers for final approval and allowed us to select the offer with the most favourable terms. 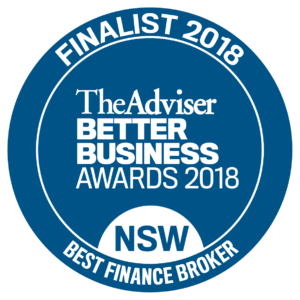 What impressed us most of all was Clever Finance’s tenacity as they never gave up and fully supported us every step of the way and we are greatly appreciative of all their efforts. They carefully explained the process and assisted me when I still needed help to understand the documents received from my bank. They are extremely patient and never get frazzled. It is a pleasure to deal with Clever Finance Solutions.